Get the power of nopCommerce 4.10 with the ease of fully-managed hosting and security. Start from $4.49/mo. Why you wait longer? ASPHostPortal.com provides full trust web hosting services for your nopCommerce 4.10 site. 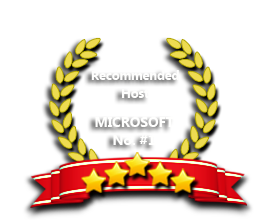 Full service and fully accountable, we expertly manage your hosting. nopCommerce 4.10 is an open source ecommerce software that contains both a catalog frontend and an administration tool backend. nopCommerce 4.10 is a fully customizable shopping cart. It’s stable and highly usable. From downloads to documentation, nopCommerce.com offers a comprehensive base of information, resources, and support to the nopCommerce community. We employ best in breed firewalls and perimeter network protection. Our Windows Cloud Hosting fully supports nopCommerce 4.10 hosting. You are more than welcome to try our Free Windows Cloud Hosting before you decide to buy. You can get your Free Cloud Windows hosting account up and running within the next few minutes.